Residential Locksmith in Syracuse, New York and the surrounding area! Infinity Lock & Key offers 24/7 professional residential locksmith services. Our local technicians can work on any type of home, so you can rely on us for all of your lock and key needs. Let the professionals at Infinity Lock & Key install your new residential locks. Our technicians have years of knowledge and experience to bring to the table. We have something to offer and remember, we are in business to keep our New York clients safe and secure. Locked out of your house or apartment? 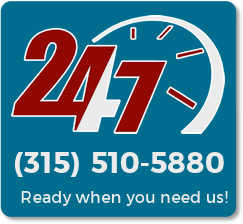 Don’t wait, call us immediately and we will have a local locksmith out to you right away! We take residential lockouts or home lockouts very seriously. We make these a #1 priority and will dispatch one of our mobile locksmiths out to you immediately! Our residential locksmiths will stand by their work, guaranteeing that everything will be in working order when the work is complete.